That’s the delighted and excited reaction I received from my somewhat eccentric best friend when she arrived at my apartment for Sunday brunch. Oh, I know egg on toast. 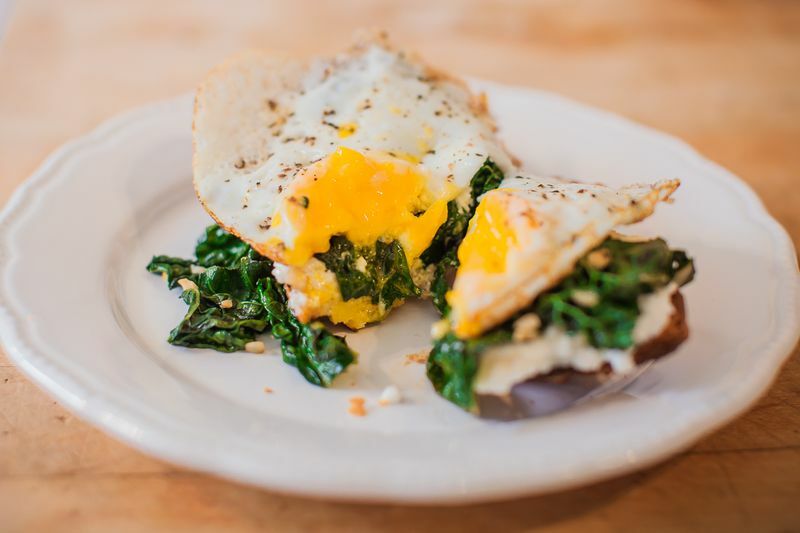 Now meet his classier, snazzier, dashing cousin; egg, kale and ricotta on toast. A gourmet twist to the classic recipe that we all love. Any recipe that can double as breakfast AND dinner is A-OK by me. Plus it has kale so it MUST be healthy, right? Heat 1 tablespoon oil in medium skillet over medium heat. Cook garlic until barely golden, stirring frequently, about 1 minute. 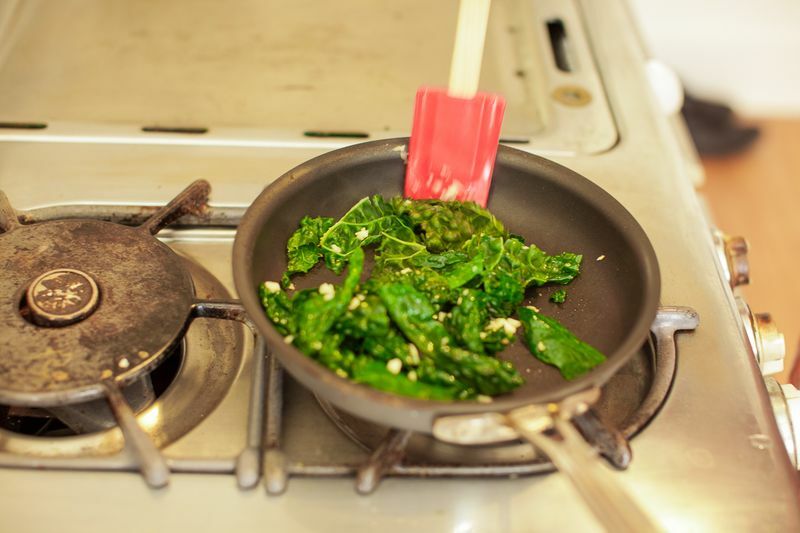 Add kale and the water; cook until tender, stirring occasionally, about 5 minutes. Add lemon juice, salt and pepper, stir to combine and turn off heat. Spread each slice of bread with half of the cheese. Top with kale mixture, dividing evenly. 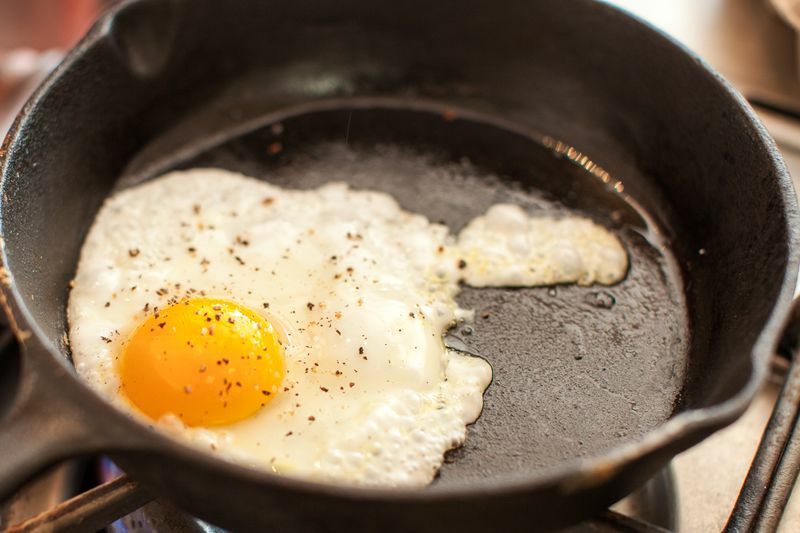 Heat remaining 1 tablespoon oil in skillet over medium heat. 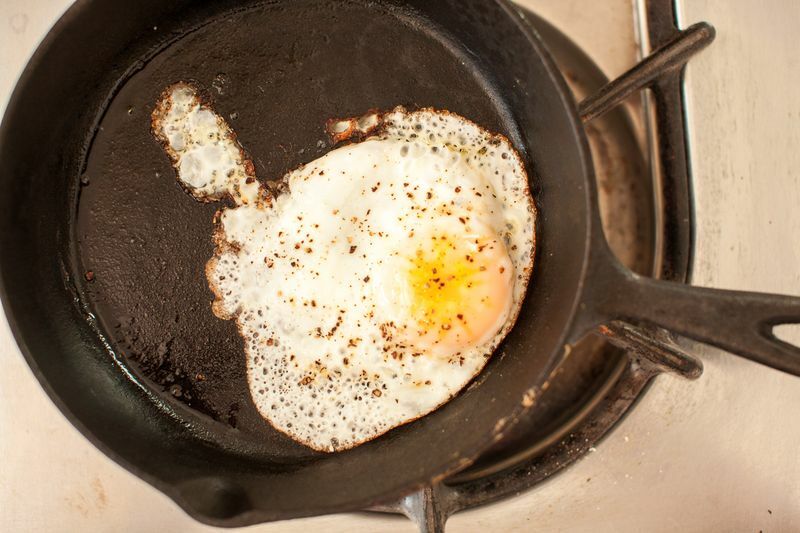 Crack eggs into skillet and cover with lid. Cook until whites are just set, about 2 minutes. With a spatula, carefully place an egg on each bruschetta and serve. My own mom was apprehensive when I made this for her this morning (rightfully so) but her widened eyes on her first bite only confirmed for her what I already knew. It may not have been as pretty but it was simple and really scrumptious. Thanks Leela!